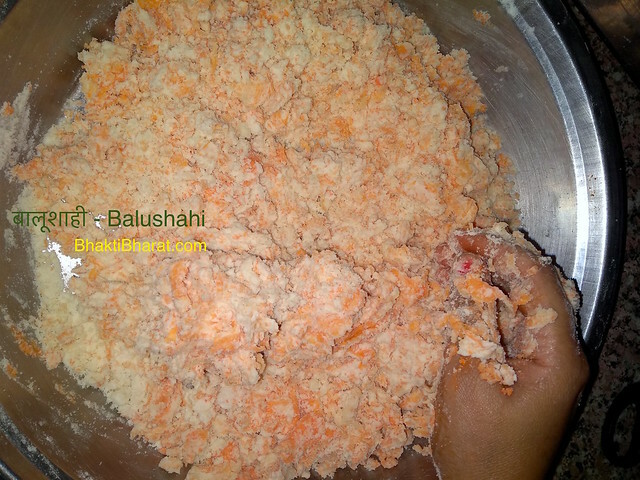 To make the Balushahi, first put the baking soda in the flour and filter it well with the help of sieve in a vessel. Then add ghee in a flour and mix it gently. When the ghee mix well, add some water to prepare a dough and keep it covered for half an hour. After half an hour, press the prepared flour dough gently. Now make small dumplings out of the dough like a lemon and keep it in the middle of the palms of both hands and make it round. Now in the middle of this loop, make a hole in it with a thumb. In this way, make the rest of the dumplings with a prepared dough. After this, put ghee in a pan and heat it on a low flame. When ghee becomes warm, then put the prepared dumplings in it one by one. Now, cook the Balushahi from both the sides upside down until it turns golden (golden brown). After then, put the sugar and water in a pan, make a syrup on a medium flame. Keep running the syrup in a little while. When a syrup gets a thick texture, then put the cardamom powder in it and then switch off the gas. Now add a fully cooked Balushahi in the syrup and immerse it well. After keeping the Balushahi dipped for 5 minutes in a syrup, take it out in a plate. 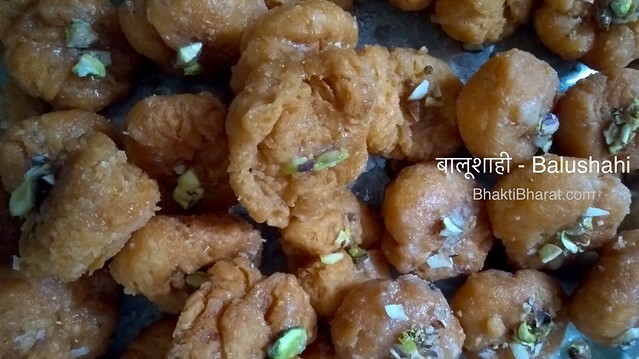 And keep in mind that Balushahi is separately placed and does not stick to each other. In this way, Balushahi gets ready for indulgence.